Fetita is a calm little girl. and loves a little fuss. She..s been rescued from a kill shelter in Romania recently and despite having gone through so much in her life. she is full of trust and gratitude towards people. She gets on very well with other dogs and is quite submissive. Fetita is around 4 years old. spayed. vaccinated and ready to join a family of her own. 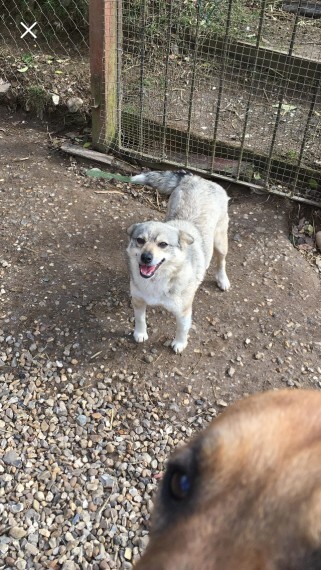 Please get in touch if you can adopt Fetita. She is currently in our kennels in Dereham. Norfolk. Please also visit our website www.rean.org.uk Please note that we apply a homecheck and adoption contract for all our adopters.